Almost every mother looks forward to the day her baby will be born with a mixture of excitement and fear. What will happen that day? How amazing will it be to finally hold baby in your arms? What will labor be like this time? The truth is, every birth is different. There is no way to be sure what this birth will be. Is your birth destined to be as amazing or as awful as your last experience? Will it go just like your mother’s or sisters? This birth will be entirely your own. It is undefined by anyone else’s experiences and entirely unwritten. 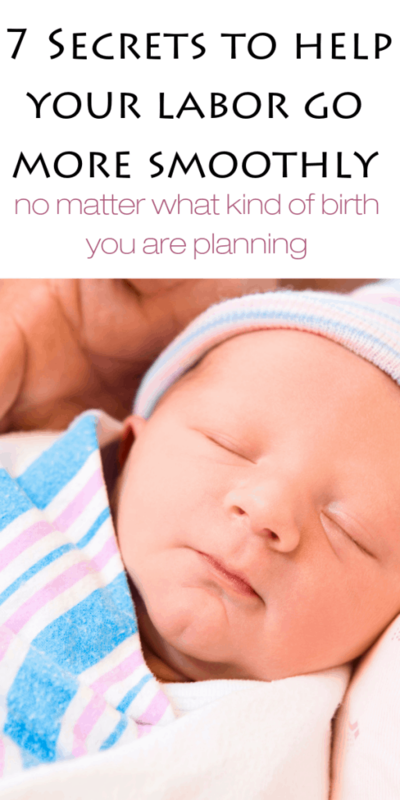 Here we give you some ideas on things to do to plan for the surprises of labor and make your birth go as smoothly as possible. Do you want an epidural the moment you walk into the hospital or are you going completely natural? Do you want immediate skin to skin snuggles and breastfeeding, or do you want your baby to be bathed right away? What about the cord, cut it or let it pulse? The most important thing for you to do is know where your priorities lie. Knowing what you want in the number one thing you need to do if you want an empowering birth experience. Have a think about these questions before the actual day and put them in your birth plan. 2. Find a prenatal care provider that is the perfect match. Find someone who has the same birth priorities you do. If you want a natural birth, find someone who is an expert at helping moms stay true to this desire in the midst of labor. If you want an epidural right away, definitely don’t see the same midwife you would see for a natural birth. When you find someone who shares your values and priorities you have found someone you can trust. If you need to make decisions during birth, you will know that they are watching out for YOU and can help you make educated and thoughtful decisions instead of pushing their own agenda on you. I promise you there are tons of birth workers out there capable of prioritizing both a healthy delivery and an empowering experience for mom. You need to know what you want your husband to do during birth. or a witness – someone who is there to see what happens, take the photos and hold the memories. While some very rare partners can play all 3 roles, the coach, cheerleader and witness, most will excel in one area and not the others. Hire a doula to fill the other roles to make sure you get everything you want out of this day. Would you run a marathon without doing smaller runs to build up for it first? If you ran a marathon without properly training you would collapse and take months to recover. Same thing goes for birth. Also prepare by eating healthy and drinking plenty of uterine toning raspberry tea. Did you know you can do prenatal yoga from home? Not only will it prepare you for birth, but it will make you feel totally zenned out as well. You can try a free week of MTRNL prenantal yoga here. Better than binge watching Jane the Virgin, birth stories have everything you need for a night of entertainment and preparation. Grab your favorite ice cream and spend an afternoon (or 107) watching birth videos. You will get an idea of how labor progresses, what kind of support you might want and the vast array of what normal labor looks like. More than anything this will fix firmly in your mind that labor will end and by the end of it, you will have a baby in your arms. Your brain on birth is so cool. As your labor intensifies, you pump put tons of the love and bonding hormone, oxytocin. Turns out this is a great pain reliever as well! It is not labor that causes the most pain in birth, but your resistance to it. If you feel afraid your stress hormones will cancel out all that oxytocin that your body is creating. Learn how to see contractions as your body working hard, waves of pressure moving through you with a purpose. And relax as much as possible with dance, music, deep breathing etc. Your contraction cannot be stronger than you because it is you. This is the day you get to see your baby. Remember how special it was to get married and know you were beginning an incredible adventure with your partner? This day will be even more amazing. You will be telling the story of this day for the rest of your life. You will be overwhelmed by how much love you can feel as a mother. You will keep this day in your heart forever. Labor does not have to be the awful experience we see in TV. I would love to hear how your birth goes. Peace, love and coffee mama!